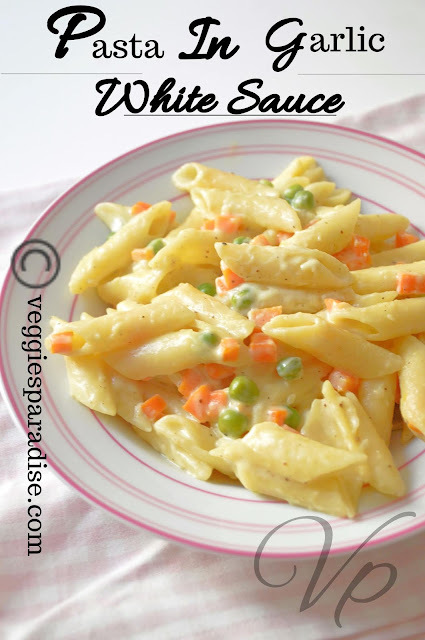 Pasta in white sauce is one of the most popular recipe which is loved by people of all ages across the globe. 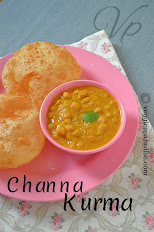 It is undoubtedly an easy and comfort food that taste delicious. The white sauce or bechamel sauce is prepared with butter, flour and milk. It is rich and creamy, seasoned with flavorful ingredients that blends well with pasta. To make it healthier we can add vegetables like carrot , peas,mushroom,colored bell peppers, sweet corn kernels. First step - Wash and chop carrot and keep it aside. Second step - Heat oil in a pan,add the carrots and peas .Saute until they are slighlty tender. Add salt .Stir it well and allow it to cook for a minute .Remove from heat. Fourth Step - Preparing White garlic Sauce - Melt butter in a pan, add the minced garlic and saute for a minute. Now add all purpose flour \ Maida and keep stirring until it changes colour. Add milk and keep whisking until the texture becomes thick, smooth and creamy without any lumps. Add salt, pepper and mixed herb seasoning.Make sure to do the whole preparation in low flame. Fifth Step - Add the sauteed vegetables and pasta to the sauce and mix it well . Cook for few minutes and remove from heat. Delicious creamy pasta is ready to be served. 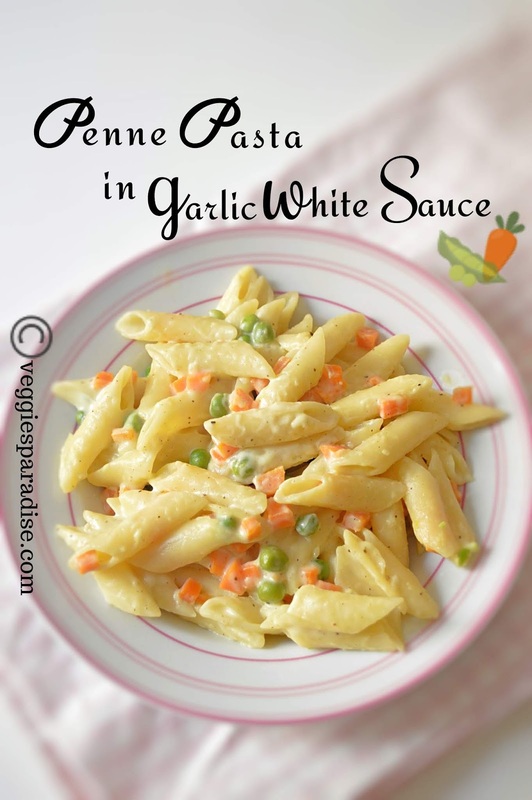 Pasta in white garlic sauce is an easy and comfort food that taste delicious and a popular recipe loved by people of all ages across the globe. Boil pasta according to the instructions given in the package . It will take around 10 -13 mins. To check whether it is cooked take a pasta and bite if it is firm ,then it is cooked. If not cook it for few more mins. and check. Melt 2 tbsp. of butter add the minced garlic and saute for few secs.Now add 1 tbsp. of maida and stir continously for a min. Pour 1 cup of milk little by little and keep stirring continously with a whisk to avoid lumps.Add the remaining milk and allow the sauce to thicken. Remove from heat and serve it hot. If you want to add cheese add in the final stage . After the vegetables and pasta is cooked for few minutes you can finally add the grated cheese give it a quick stir and remove from heat. This will ensure that the cheese blends thoroughly and delicious cheesy pasta is ready. The white sauce thickens as it turns cold so it is best to serve when it is hot. If you need plain white sauce skip garlic. But I would suggest adding as it enhances the taste of the pasta.